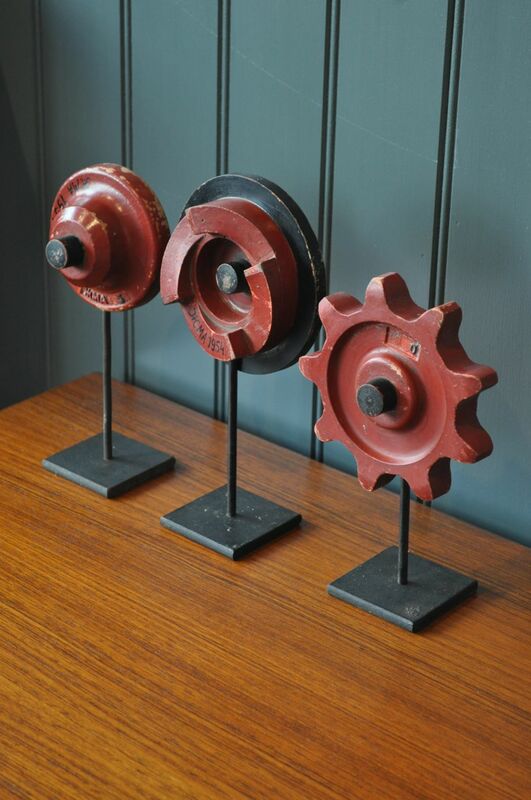 Set of three wooden forms, newly mounted on metal stands. 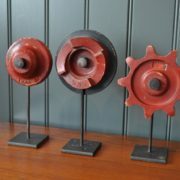 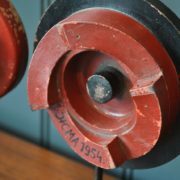 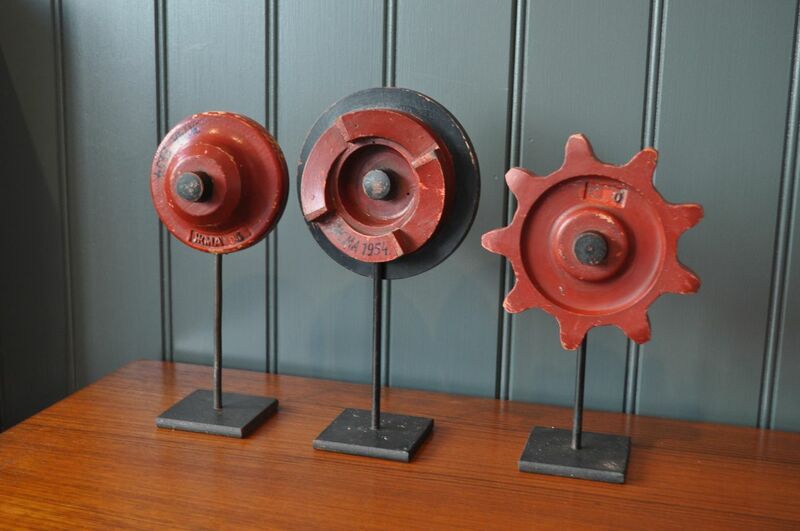 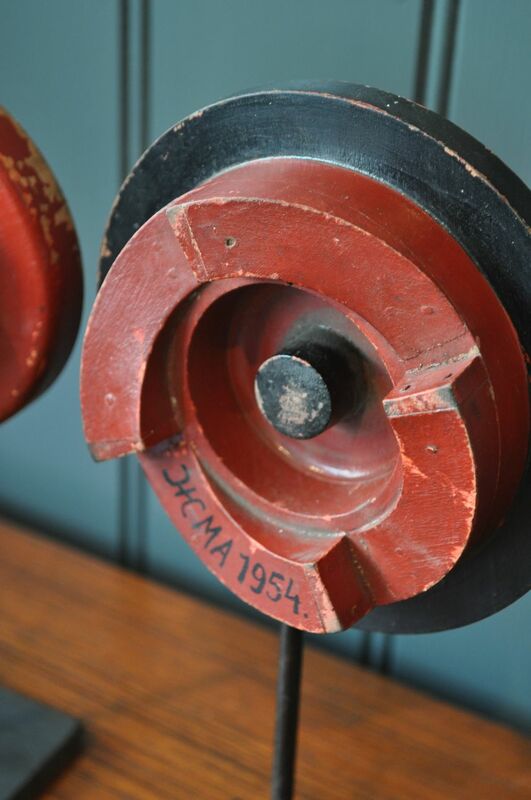 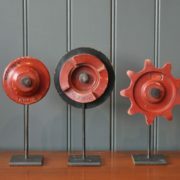 Originally used as casting moulds for mechanical components, but have a wonderful sculptural quality. 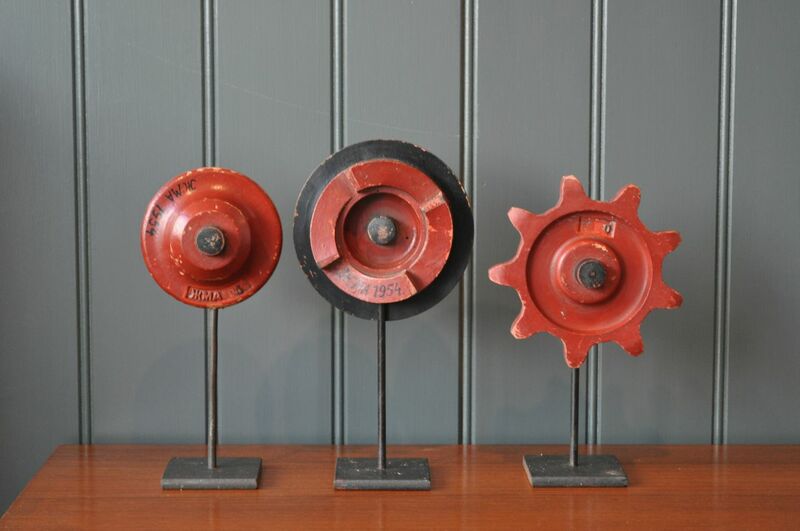 Price is for the set of three.